Emmer & Co. Heritage Chicken | Meet Emmer & Co. In the not-too-distant past, eggs came from our own backyards, meat came from our local butcher, and fish from the nearby river. Everything we ate came from someplace, or someone, we knew. There was no such thing as eating "local" or eating "organic"—it was just called eating. At Emmer & Co.®, we believe in a new way forward for our food system. Our vision for the future of farming is focused on raising slow-growing chickens entirely on pasture, with practices that create healthy soil and regenerate the land. Jesse Solomon founded Emmer & Co. to rebuild our agriculture system and develop a new farming model that leaves the land better. Jesse is an avid outdoorsman who started hunting to eat the purest, most natural meat, and also to connect with nature—to understand the fragile ecosystem we inhabit, and to fully appreciate the provision we take from the wild. He created Emmer & Co. to know where his food comes from, to participate in the entire process, and to create that "as close to wild as possible" experience for as many people as possible. He aims to create shared, community experiences around the healthiest food that has the most delicious flavors and allows the land to thrive. We’re only able to create a better food system because we have the best farming partners. We represent a way of farming that they want to be part of; one where they can regenerate the soil by raising active, beautiful birds. We carefully select partners who share our commitment to environmental stewardship and incomparably high welfare standards. And as demand for 100% pasture raised chicken grows, Emmer & Co. is focused on growing the right way. Scaling-up while living true to our values means we’ll be establishing regional hubs, which will create new opportunities for farmers across the country who want to join us in the future of farming. 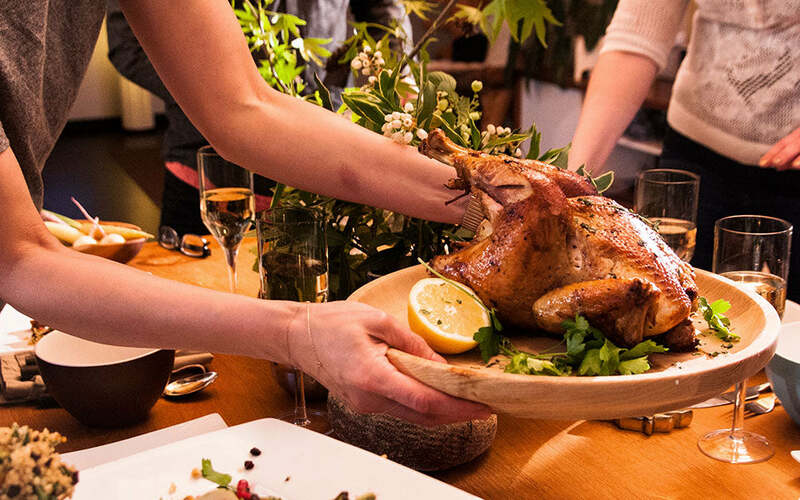 With uncompromised chicken, and a new model for our food system, Emmer & Co. is creating an alternative to fast growth Cornish Cross birds, and bringing the farming legacy of the past to your dinner table. We care deeply about our world, our communities, our health and our collective future. And we want inspire you and others to make the world better by challenging and improving the systems that aren't working anymore. Taste a pasture raised bird.